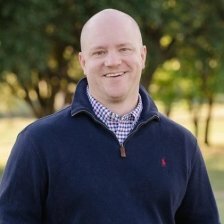 Craig Fuller is the Managing Director of Blockchain in Transport Alliance (BiTA), the freight industry’s first advocacy organization devoted to the development of blockchain standards and education. Since its inception in August 2017, BiTA has over 130 active members and 700 applicants; membership is comprised of a consortium of technology enterprises, manufacturers, carriers, and logistics technology organizations committed to implementing blockchain technology in transportation. Craig is a serial entrepreneur with extensive experience in the freight industry. He’s the CEO and Founder of TransRisk, a data intelligence and financial products company serving the freight industry. Founded in 2016, the company’s products include: FreightWaves, the number one independent media website in freight with over 3 million impressions per month; a robust data platform capable of providing unique and predictive insights into the trucking industry; and trucking futures contracts that will soon be listed on a major commodities exchange. Prior to founding TransRisk, he was the founder and CEO of TransCard, a fleet payment processor that was sold to US Bank. He also has been deep in the industry, having founded and managed the largest provider of on-demand trucking services in North America the Xpress Direct division of US Xpress Enterprises. Blockchain in Freight: Why is it Important? Members of BiTA understand that blockchain isn’t just an industry disruptor, it’s technology that will revolutionize the way people do business. BiTA wants to usher in this change in a uniform way that will benefit the entire industry. All companies within BiTA share a unified mission of developing a standards framework, educating the market on blockchain applications, and encouraging the use of said applications through exemplary implementation. In addition to establishing market standards, the Organization is focused on engaging with the industry and providing educational resources to ensure the full potential of the benefits of blockchain technology is carried through. Blockchain offers the opportunity to solve for transparency and create efficiencies across the industry. BiTA standards will address smart contracts, freight payments, asset maintenance and ownership history, chain of custody of freight, and other issues facing the industry.